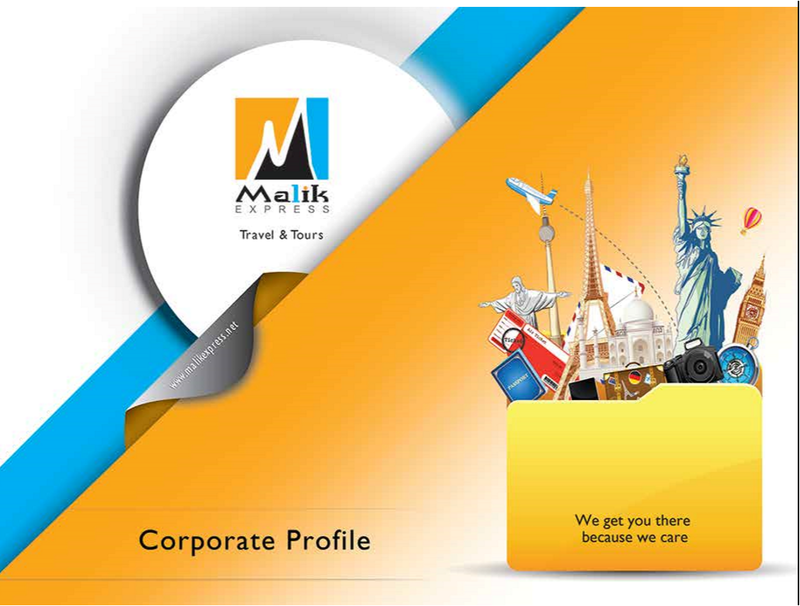 Founded in 1992, Malik Express has developed itself successfully as one of the premier travel and tour operators nationwide with its representation in all major cities of Pakistan as well as international presence in Kabul, Afghanistan and Dubai. Over the years, Malik Express has earned a reputable name in the travel industry and is widely acknowledged for its professionalism and commitment. We spare no effort in assuring that our clients receive only the best from our wide range of services which includes Ticketing, Hotel Accommodation, Outbound & Inbound Tour Packages, Travel Insurance and Visa Assistance Services. Soon after its inception, Malik Express became proud members of International Air Transport Association (IATA) and Travel Agents Association of Pakistan (TAAP) in 2001. Being old team players in the market, we acknowledge the innovative technologies and persistently adopt the latest software available in order to provide customized solutions to our clients. Moreover, we are partners with several world-class hotels spread across continents and well-renowned international airlines having direct access to their online reservation and booking system. Malik Express enjoy the status of G.S.A (General Sales Agent) in Pakistan of a leading insurance company “The Universal Insurance Company Pvt Ltd” to provide travel insurance to our customers in collaboration with a Dutch company, Euro Cross International which is one of the leading travel insurance and assistance service providers. Also, we are ranked among the list of authorized Visa Drop Box Agents for Malaysian High Commission, while offering visa services for several other countries where third party visa processing is allowed, i.e. Thailand, Singapore, and United Arab Emirates etc. We firmly believe that human capital is an integral part of any progressive organization. Therefore, we recruit and retain the best available talent in the market, while at the same time inspiring them with our highly conducive rewards and monetary benefits. Our objective is not only to hire the best staff, but to continuously nurture our team members so they can prepare themselves to meet the ever-growing demands of our valued customers. Our human resource is trained in a manner that they eagerly look forward to identify the exact needs of our individual as well as corporate clients to provide them with solutions which not only fulfill but exceed their expectations. Our employees have spent years developing industry knowledge and bringing about positive attitude throughout the whole process of service provision. Team work and effective communication is embedded in our company’s philosophy to best facilitate our clients. Moreover, we demonstrate and maintain highest ethical standards in our business practices and social interaction. Technology is vital, but it is merely a tool. We believe that technology should be harnessed to effectively deliver our clients with the benefits they seek. Our goal at Malik Express is to offer services which come with innovative technology solutions as well as person-to-person contact to accommodate our clients in the best possible way. Malik Express is more than a travel agency. We are a business partner, a friend, a community resource. Our success comes from the success of our customers, their businesses, and the local economy, Integrating ourselves into these key areas, we help ourselves by helping others first. We can save your precious time and money through our worldwide affiliations and partnerships by offering a wide range of services for both, individual and corporate travelers. Our corporate account managers can implement and monitor your travel policies, as well as keep your business informed on travel industry issues through regular communication and consultations.